The immigrant population in the United States has been growing and nationally, immigrants are one of the groups making the largest contributions to local economies. Despite their contributions to economic growth, 1.7 million skilled immigrants remain unemployed or underemployed. At the same time, the U.S. is facing a potential workforce crisis. Workforce economists project a shortfall of 7.5 million private sector workers across all skill levels by 2020. The Trump administration's recent announcement that it would phase out DACA (Deferred Action for Childhood Arrivals), subsequent uncertainty surrounding whether President Trump would broker a deal with Democrats to save the program, and ongoing threats to those with Temporary Protective Status, have thrown the future status of hundreds of thousands of immigrants into question and have further exacerbated the emerging workforce crisis. It is within this context that the Management Assistance Group shares the publication of our new report," Advancing Equity in America: Linking Immigrant Communities to the Workforce Investment System," produced in collaboration with the Annie E. Casey Foundation. MAG began to search for bright spots - examples of where immigration and workforce sectors were effectively collaborating to give immigrant communities greater access to workforce development opportunities. We also explored the conditions giving rise to these examples. Rather than look at the work of individual organizations in isolation from the broader system in which they operate, MAG set out to understand which systemic conditions were key to fostering greater collaboration. Organizing our research using geographic regions, MAG focused on why some regions were successful while others lagged behind. MAG interviewed dozens of cross-sector organizations within each region to better understand connections across groups. 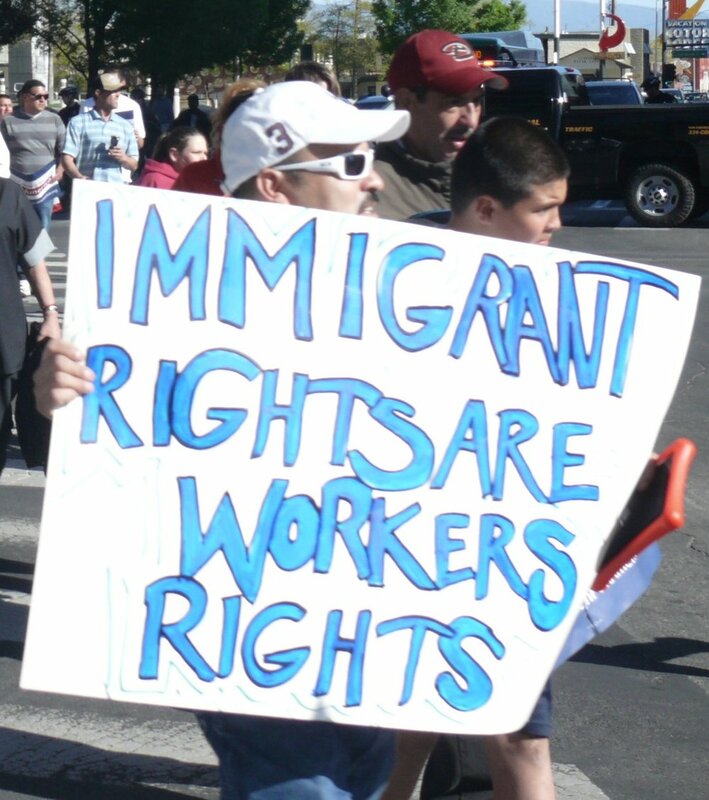 The research engaged groups such as the National Association of Workforce Boards, dozens of immigrants’ rights organizations as well as regional workforce development collaboratives - all focused on immigrant rights, workforce development, education, social services, healthcare, and advocacy. Through a systems-based and multi-sector approach, MAG highlighted not only what individual organizations were doing well, but also the ways in which regional networks and systems of organizations were co-creating conditions for deeper collaboration and success. MAG was also able to lift up gaps in the system - broken pathways that limit access to workforce development in immigrant communities. MAG’s findings sparked a series of convenings that brought together immigrant rights groups, regional workforce collaboratives, and funders to develop solutions to gaps in the workforce development system. In June 2017, in partnership with Grantmakers Concerned with Immigrants and Refugees (GCIR), Workforce Matters, and AECF, MAG co-convened a group of grantmakers and practitioners in this nascent field. Through day-long conversations, national and regional actors came together to further develop tailored strategies that could lead to greater job stability and mobility. Together, these leaders are forging new relationships and experimenting with new approaches. Together, they’re co-defining and developing a field of practice that will ensure that immigrant communities have the same access to workforce development opportunities as other groups. MAG and GCIR, in collaboration with AECF, are exploring opportunities to test new approaches across immigration and workforce sectors in order to build and strengthen connections between immigrant rights groups and the public agencies that serve them. MAG’s commitment to co-designing and co-delivering this ongoing work is in service of growing a field of practice that seeks to connect immigrant communities to workforce development opportunities. We look forward to continuing our involvement during this exploratory phase of learning, and to sharing new insights and practices with the broader field.